Damage to the circuit - e.g. a wire working loose or insulation wearing through and causing a +ve wire to short to ground. Overloading the circuit - e.g. connecting one or more pieces of equipment that draw more current than the circuit is designed to carry or, conversely, using cable of insufficient size for the current draw of the intended equipment. 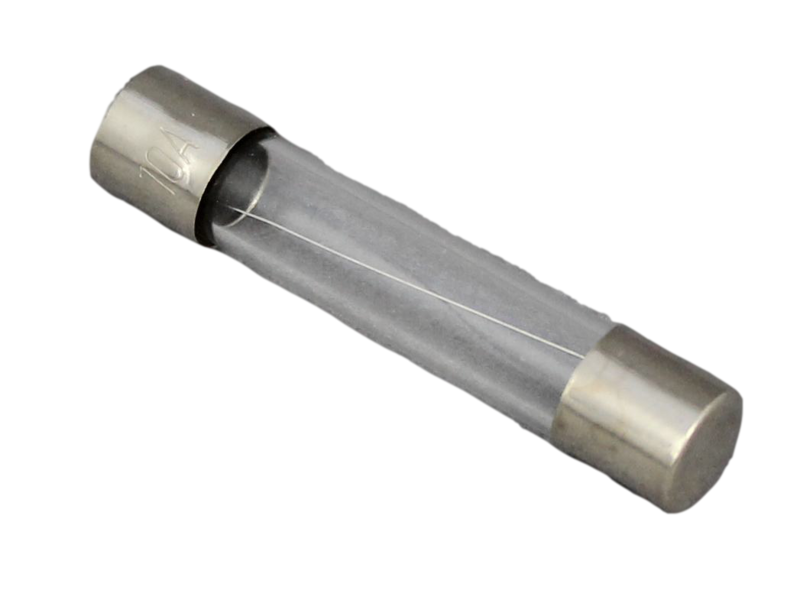 In an ideal world each individual section of positive cable would be fused as this would provide the most protection and make fault finding relatively straight forward, because it would allow you to narrow down the problem to a single section of cable (i.e. where the fuse has blown). Having said that this is ideal it is nearly always impractical as it would lead to many fuses fitted throughout an electrical system. A good compromise is that every individual circuit should be fused as this provides a good degree of protection and at least allows you to narrow down the problem to one circuit. It is important to note that the section of cable coming from the battery +ve terminal to the first fuse (or battery distribution box) is effectively an unprotected part of the circuit. If there is a short anywhere along this length then it is very likely to catch fire as the first fuse will not experience the excess current. For this reason the length of cable from the battery +ve to the first fuse should be as short as possible so that damage is minimised in the event of an electrical fire.. 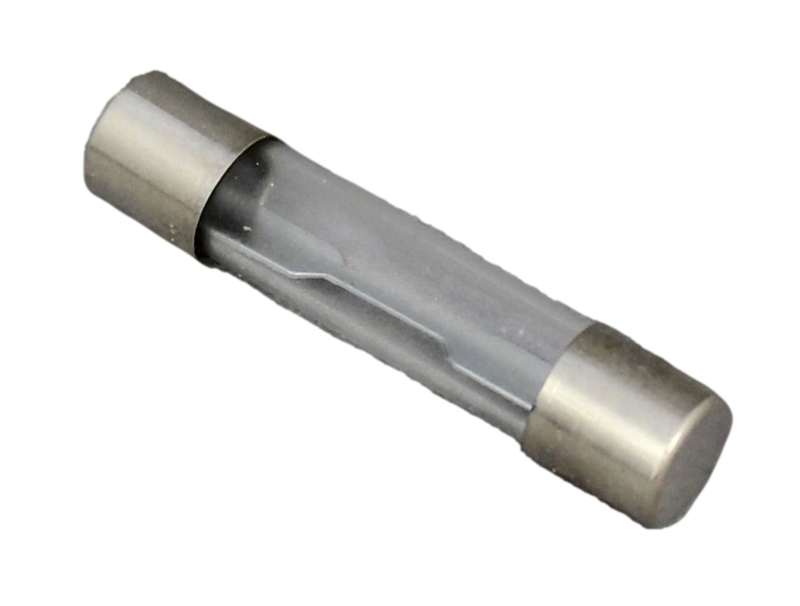 There are some instances where fuses are not normally used and one example is for the, normally short, length of cable from the battery to the starter motor. Starter motors are normally the highest current draw electrical item on a vehicle as they have to crank the engine, and the current can reach several hundred Amps, especially with large diesel engines that have a high compression ratio. 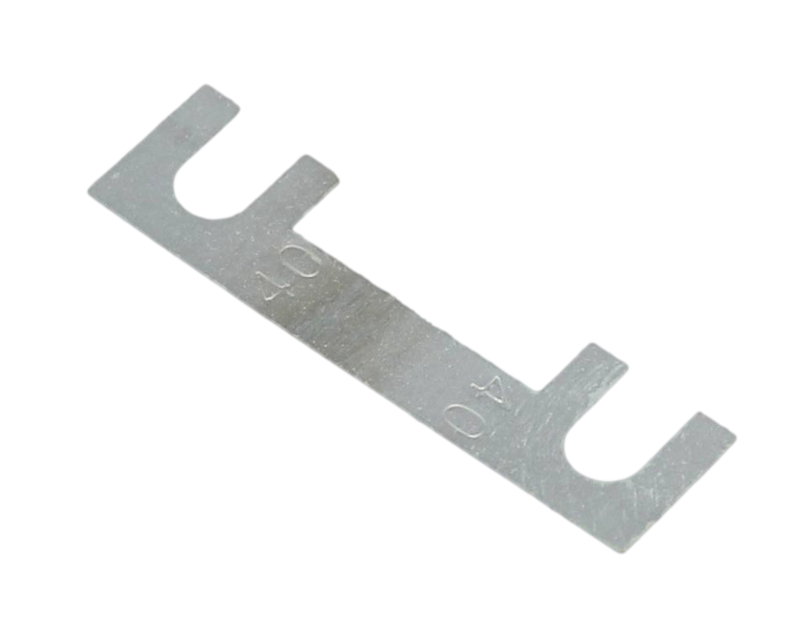 For this reason it is usually deemed impractical to fuse this length of cable, although some vehicles do have fusible links which are simply a small section of lower current rating cable encased in a fireproof sleeve. They are installed in-line with the cable being protected and are designed to melt and break the circuit in an over-current condition. The other reason for not fusing the starter circuit is that if the battery is disconnected from the alternator whilst it is turning (as would be the case if a fuse blew) the diodes in the alternator's rectifier can be damaged. To offer an increased level of safety it is common in many race car, kit car, custom car and leisure vehicle builds to fit a battery cut-off or 'master' switch that can be manually operated to isolate the main battery or auxiliary batteries from the rest of the vehicle's electrical system in the event of a problem. The following diagram shows how electrical loads such as lights, power sockets etc. might be fused in an after-market circuit. Note that the main feed from the battery is fused to protect this section of cable and this cable should be large enough to supply the current required by all the loads operating at the same time (worst case). 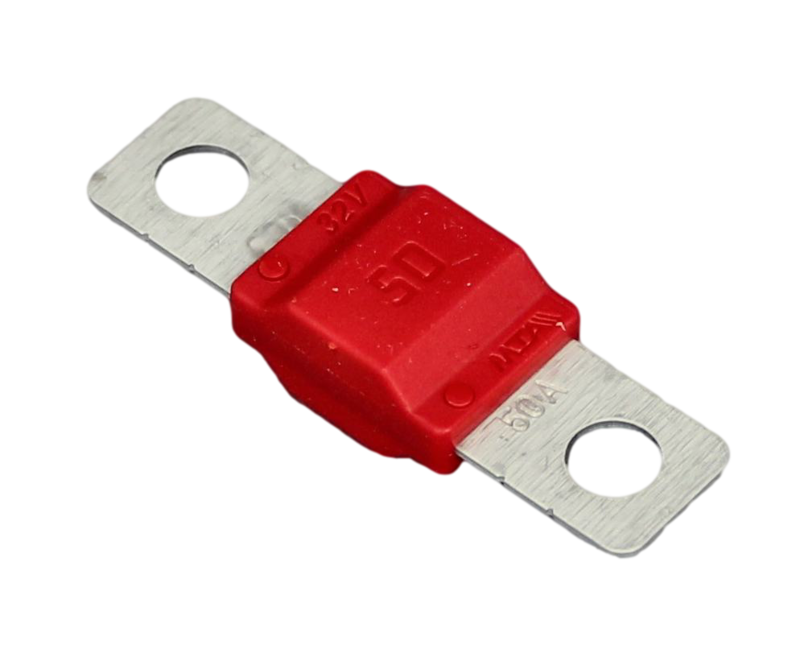 Consequently the fuse used for this cable (fuse 1) will be of a higher rating than fuses 2-5 (see below for selecting a fuse rating) . Each of the four circuits supplying the loads are then fused individually in the fuse box at the beginning of each circuit (and before the switches). 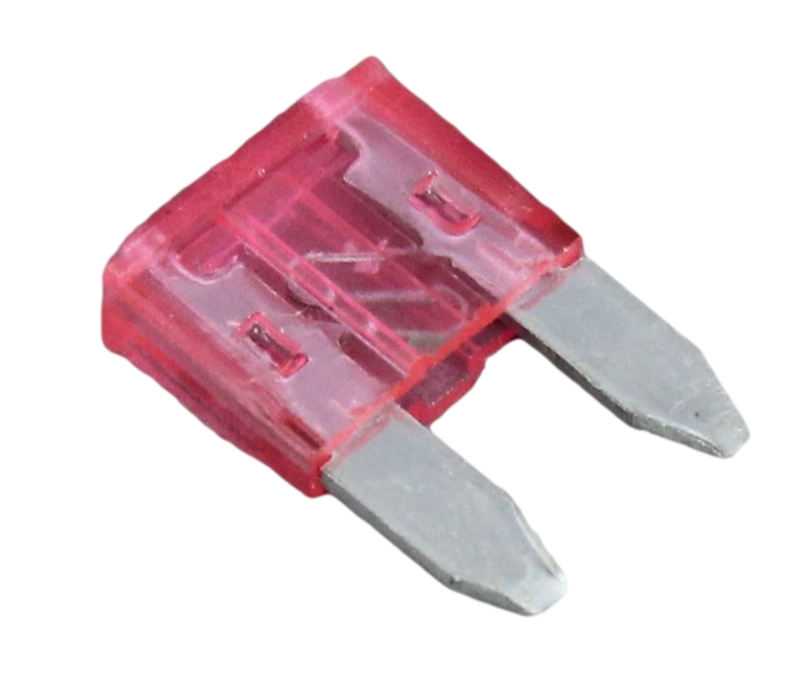 This is important because if a section of cable shorts to ground it will only be protected if there is a fuse before the shorting point (otherwise the fuse will not experience the excess current because it will be outside of the short-circuit). Fuse are marked with the current that they will continuously pass (at a known temperature) without blowing, known as the continuous rating. It is good practice not to allow the continuous current to exceed 75% of the fuse's rated value to accommodate momentary current surges that might cause the fuse to fatigue over time or blow unnecessarily (nuisance blow). How much current will it take for a fuse to blow? 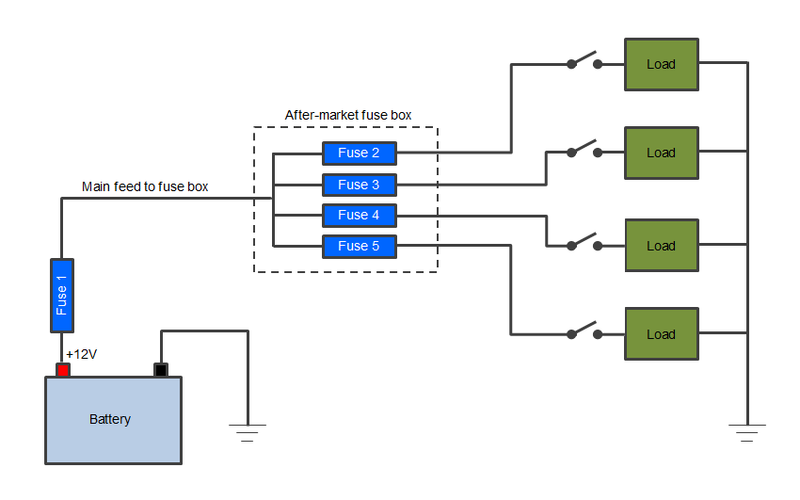 If replacing a blown fuse in a manufacturer-designed (factory) application, e.g. in a vehicle fuse panel, then the same type and rating of fuse should be used. If a fuse continues to blow then there must be a fault with the circuit and a higher rating fuse should never be fitted to overcome this, even temporarily. Doing this creates a high risk of component failure and electrical fire. The fuse rating should lie somewhere between these two values to allow normal operation but blow on overload. For example, if the normal expected current draw is 10A and the cable size is 25A, then a fuse rated at 15A would be appropriate. 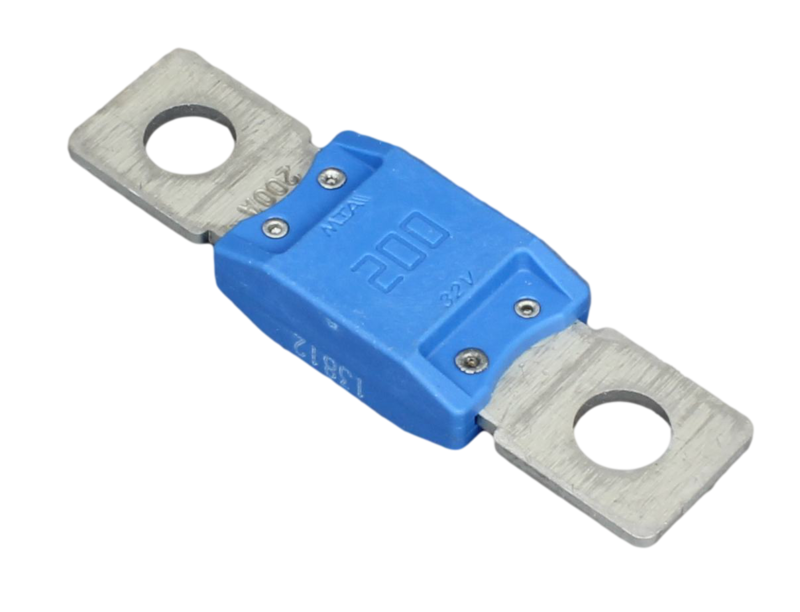 These fuses are normally used in fuse holders that screw or twist-lock together. 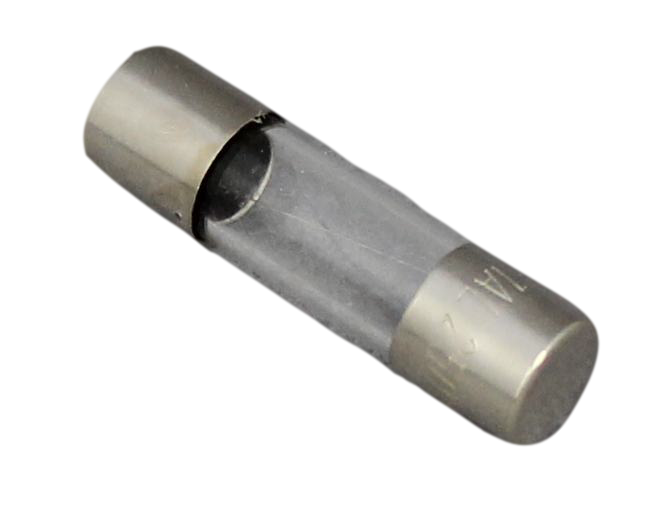 The 30mm & 32mm fuses are generally interchangeable because the springs in the holders accommodate the small difference in length. Blade fuses are now the most commonly used category of fuses with almost every new vehicle featuring one or more of the different types. 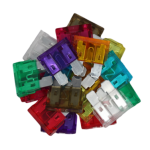 They push-fit into fuse holders or boxes and are held in place by friction. 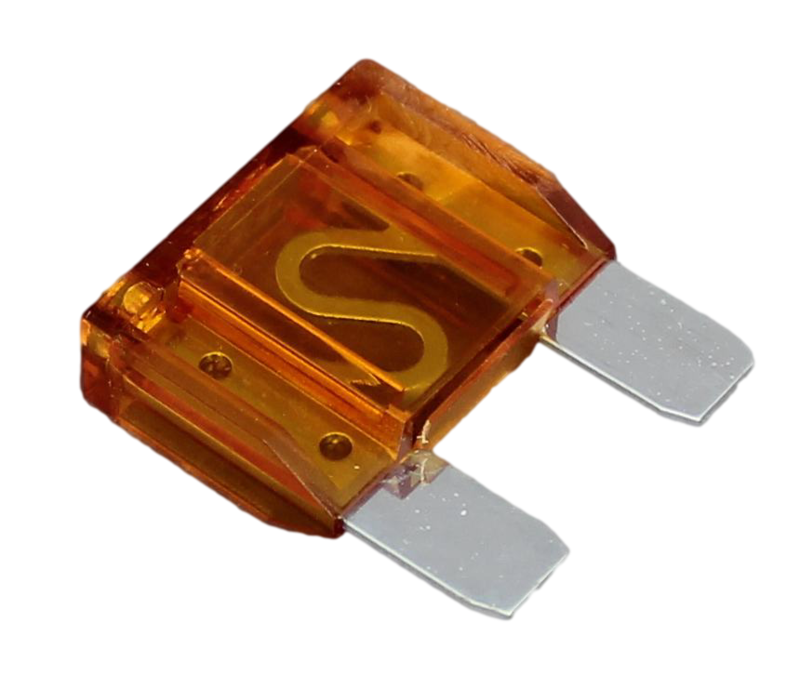 Maxi blade fuses (also known as APX fuses) tend to be used for higher current or 'power' applications and are available in higher ratings. 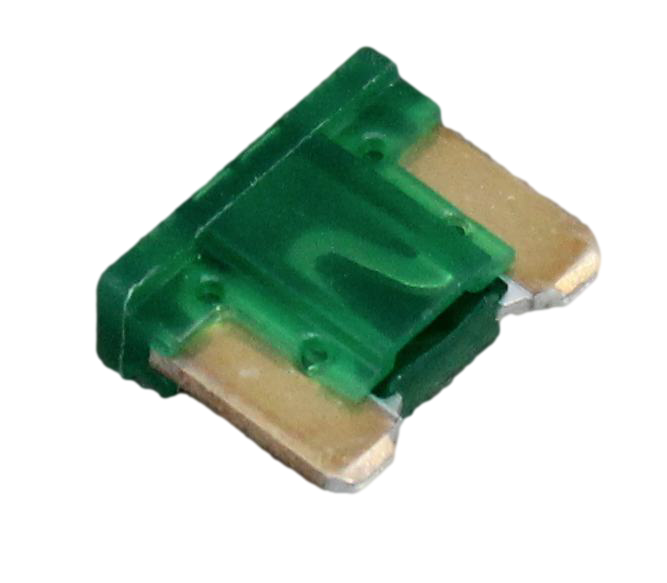 Link Strip 30 - 100 Strip and midi link fuses are for higher current or 'power' applications (e.g. winch motors) with mega link fuses used for very high current applications. These fuses are bolted down into fuse holders or boxes. Continental N/A 5 - 25 Also known as Bosch, Ceramic, Torpedo, ATS or GBC fuses. Now superseded in modern vehicles by blade fuses but found in some older cars and still used for some classic restorations. These fuses are held in place between sprung metal contacts in fuse boxes or holders. Circuit breakers provide overload protection for the circuit in the same way that a fuse does (by breaking the circuit continuity) but, unlike a fuse, can be reset rather than having to be replaced. 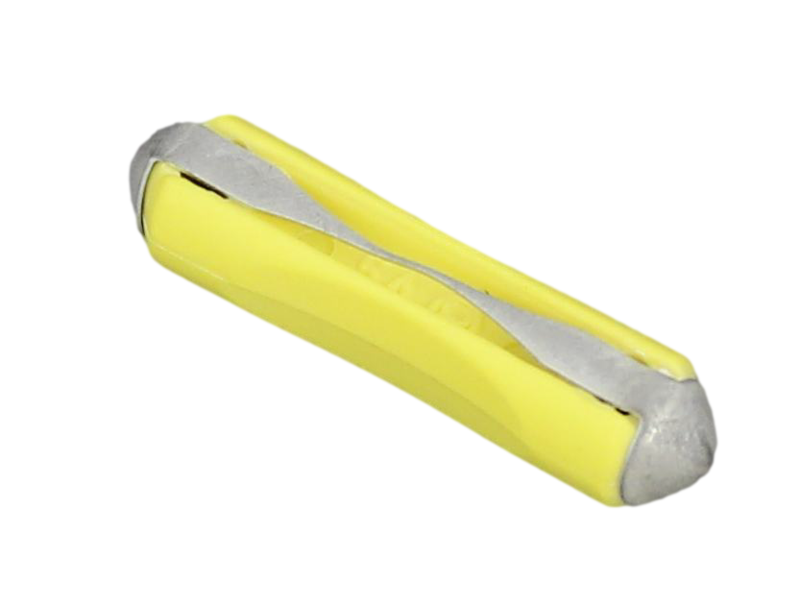 These are useful in applications where, due to their nature, an over-current condition is expected to occur now and again under normal use and to have to frequently replace fuses would be inconvenient (e.g. electric motors used for winches, power windows etc.). 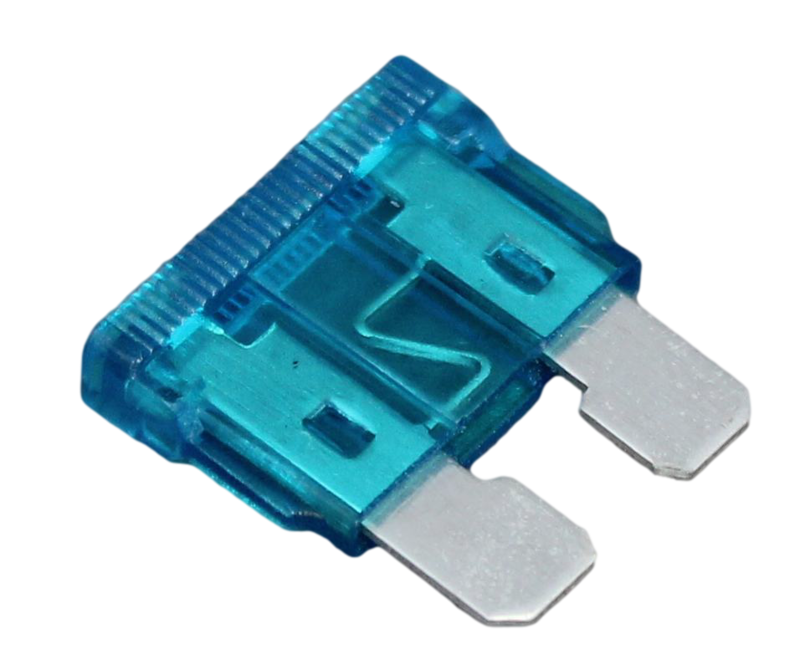 They are also useful where you might need to reset the circuit quickly and don't want to spend time looking for a fuse. Most circuit breakers found in 12V or 24V systems operate thermally. The heat generated by the excess current during an overload causes the contacts inside the breaker to come apart and break the circuit. These are then reset either manually or automatically depending on the design of the circuit breaker. Circuit breakers that have to be manually reset provide an opportunity to check for any problems before using the circuit again and on some types you can manually trip the breaker, which is useful for isolating the circuit and for testing the breaker. Whilst circuit breakers are very useful solution in certain applications it should be noted that a good quality fuse will ultimately be more reliable (there are no moving parts) so should be considered first, and where sensitive electronic equipment is involved a circuit breaker should never be used. This is because the time taken for the circuit breaker to operate can be longer than it would take a traditional fuse to blow, potentially exposing the circuit to damaging overload currents for longer.